We ran a workshop with the team in order to help them define the exact route they wanted to take with the project; following this we worked together to develop an information architecture for the new site. Perhaps the biggest challenge with the project (apart from the extremely scary timescale!) is that the Service is made up of a number of museum sites. Deciding how best to present these to the end user sat at the core of the usability and design challenge. 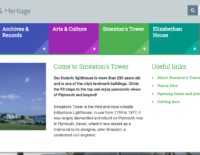 The approach we took was to develop an overarching look and feel which applies to the whole site but with subtle and consistent colouring for the museum subsections. This helps to maintain a sense of “way-pointing” for users wherever they are in the site. 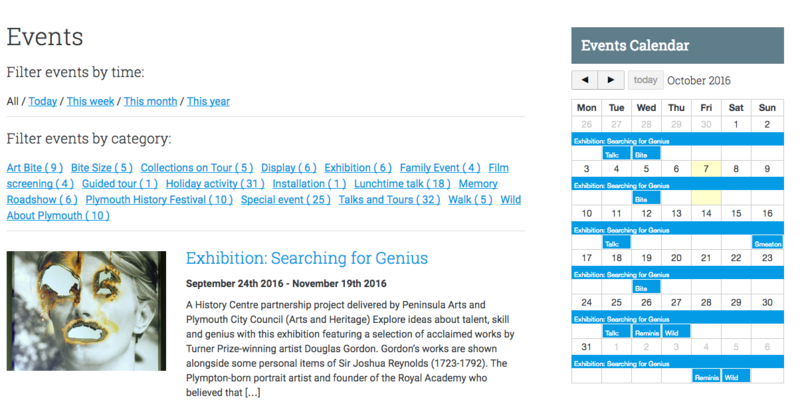 Within the WordPress dashboard we use our modular system so that editors can rapidly include content from any of the museums; thus if an editor is writing about one museum but wants to include an event, news article or simple link to another they can do so. 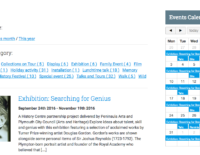 The “mega-menu” provides further help to anyone who wants to rapidly get to the content they need for any museum; the events area of the site further extends the means by which users can either focus on the particular museum they’re interested in or expand their reach in order to see events for the whole service. We are continuing to work with the team to roll out collections online using our open-source CultureObject plugin: watch this space for further developments! 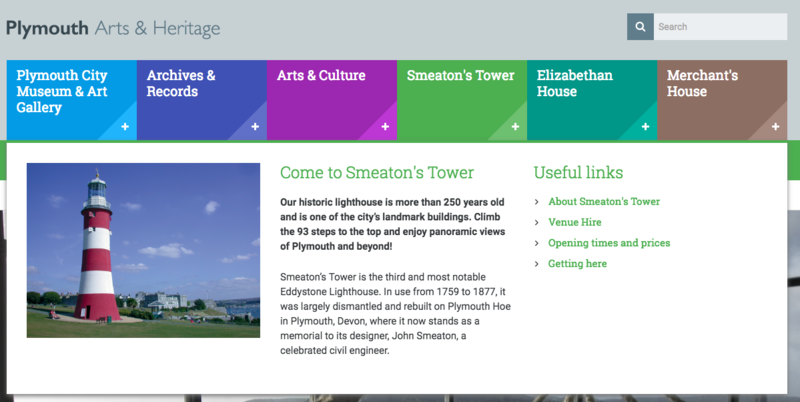 We chose Thirty8 Digital to create our new website as they have a great track record within the heritage sector. They understood our time pressures and our need to reflect a range of sites, venues and services. They responded to our brief with a well-received design, and gave realistic and practical recommendations to delivering the website in our timeframe. I felt the team put in a lot of effort and dealt well with various challenges along the way. The website has really lifted our online offer and we have received lots of positive comments about the site. It’s also really easy and quick to update. 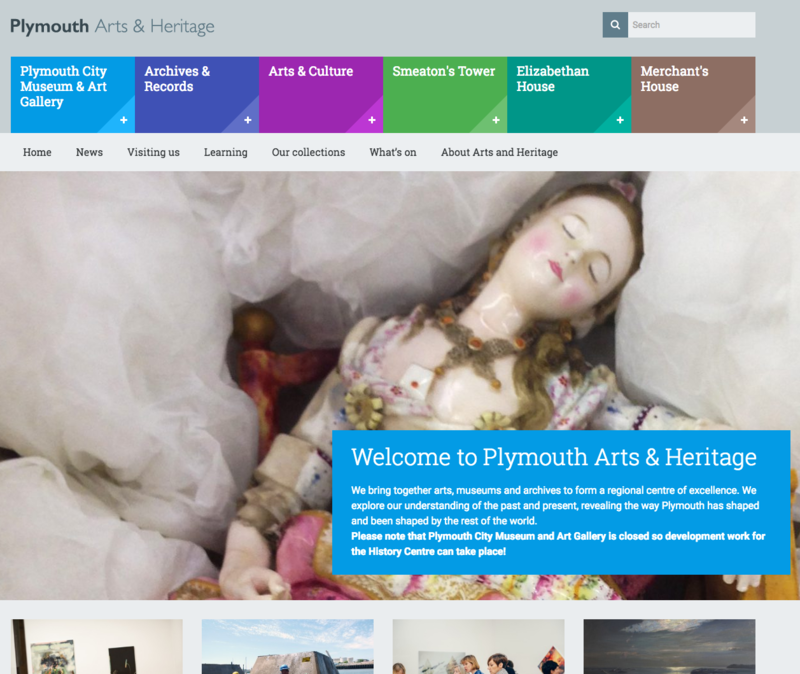 We are pleased to be working again with Thirty8 Digital as we develop our site towards the next phase of our Plymouth History Centre project. The knowledge that Mike and the team have in all manner of systems is really valuable and this seems to be continually growing!